The His Fair Assassins series is BACK!!! And it's here to kick butts just like it did the last time. Ri: As a student of history, this late medieval period is very interesting and of course just as fun to read about. What are some of your favourite historical fiction novels? Are there any other historical periods that interest you for future stories? Robin: Favorite historical novels is tough because I actually grew up thinking that fairy tales were historical fiction. It wasn’t until I was about ten and was given actual historical fiction that I found out I was wrong. Let’s just say I was *mildly* disappointed—I missed the magic, and the sense of the world being bigger than could be explained by mere facts. One of the books that had the most influence on me, and I later realized was a model for what I did with my assassin nun books, was The Crystal Cave trilogy by Mary Steward. In them, she plops a ‘historical’ Merlin down in the middle of Romanized Britain and wove the history and legend together so seamlessly that I was spellbound. I absolutely wanted to recreate that with both His Fair Assassin and the Courting Darkness duology. Some favorite historical novels include anything by Sarah Dunant, A Certain Slant of Light by Judith Merkle Riley, Brazen by Katherine Longshore, anything by Stacey Lee or Ruta Septys, Blood, Water, Paint by Joy McCullough, and Voices by David Elliott. 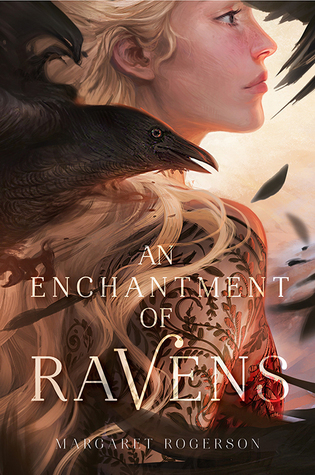 I also love fantasy that FEELS as if it is historical, Juliette Marillier, for example, or Lois McMaster Bujold’s Chalion series, or Leigh Bardugo’s Six of Crows. Thank you so much to Robin for answering my question! 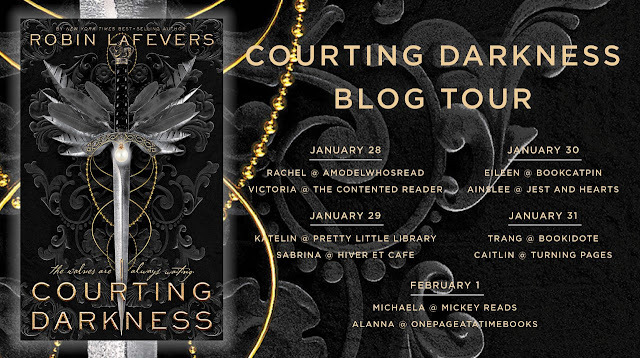 You can find my review of COURTING DARKNESS (out February 5th) below! If you (like me) didn't remember much of what happened in the previous books since it's been so long, there are Recaptains posts for both Grave Mercy and Dark Triumph, but there isn't one for Mortal Heart. But fear not, ya girl has you covered as I have a review from a long time ago posted for Mortal Heart. Courting Darkness picks up right where Mortal Heart ends. A lot has happened in the conflict between Brittany and France and as the events of the last book end with hope on the horizon, Courting Darkness brings a whole new set of problems for our assassins as they face the fall out of Mortal Heart. The book is split into two points of view -- Sybella's and Genevieve's. Sybella is dealing with the new alliance that the Duchess of Brittany finds herself in where she must wed the king of France and everything that entails from court politics to ambushes as well as dealing with her own problems. Pierre d'Albret is always a problem of course and she must look to care for her younger sisters as well. Genevieve was sent to infiltrate the French court a long time ago -- so long that she has begun to forget who she is and what her original goals were like her sister Margot did. However, she finds a prisoner in an oubliette that she forges a connection with and even if she has lost her sense of self as a daughter of St. Mortain, she is determined to regain it. The history is on point as always in this book and while I'm not an expert in this time period, I like that it is slightly less insular than it used to be as we deal with characters on the world stage where they must worry about the British and the Germans as well as needing to gain approval from the Pope for marriage and its importance. 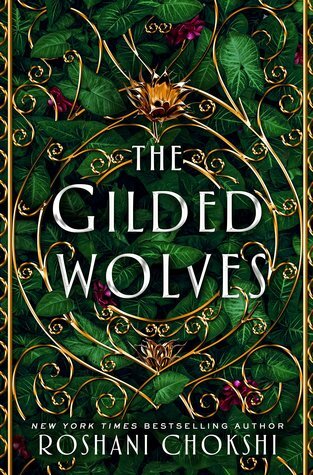 This book is the first in a new duology and everything in this book felt very much like a set up for what is to come in the next one. It's so great to revisit familiar characters from the previous trilogy like Ismae and of course Sybella, however beyond the trio from the trilogy, there are other daughters of Saint Mortain out there and through Genevieve, we are able to learn what happened to some of them. 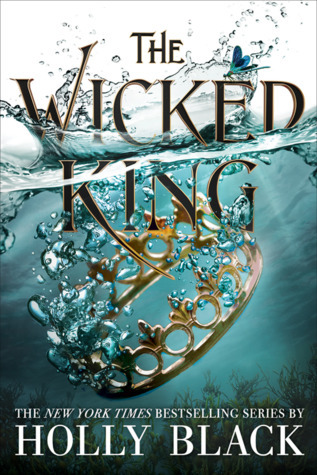 A lot happens in this book and I look forward to see what happens in the next book and what's in store for Genevieve, Sybella and the Duchess. As always, there is so much girl power in this book from our two main characters, Sybella and Genevieve to the other women that are of prominence including the (*hiss*) Queen Regent, the various ladies of household and the Princess Marguerite. And of course who can forget our beloved assassin nuns? There is such nuance to the women in this book where we watch as the Queen Regent exercise her power through subtlety and the Duchess standing strong and tall in the face of it. Margot grasps her own power through indulging in court life and Genevieve takes hers in holding her faith in the convent. 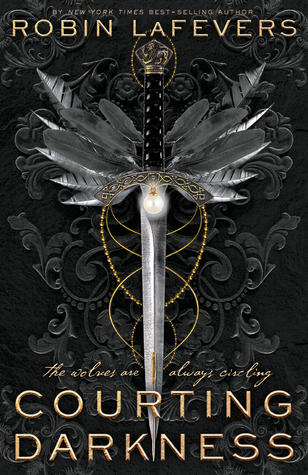 Like I said earlier, I absolutely cannot wait to see what the next book in the duology has in store for Sybella and Genevieve and of course what is going to happen in the underlying tension of this world where conflict is only a misstep away from erupting. You can find the rest of the tour stops and see what my blog tour mates have to ask Robin, below!